Two Red Bowls is a beautifully photographed blog that introduced me to Apple Cider- Crème Fraiche Caramels. (http://tworedbowls.com/2014/10/28/apple-cider-creme-fraiche-caramels/) Apple cider reduced down to syrup. Tangy crème fraiche and golden caramel - I had to try them! The ingredients can mostly be found in your pantry and your local grocery store: brown sugar, cinnamon, salt, granulated sugar, butter, apple cider and crème fraiche (French style sour cream: thick and tangy). The apple cider is reduced down tosyrup than is cooked with the rest of the ingredients to 225F, poured into a greased parchment lined 8x8” pan and cooled, before it is cut and wrapped. This results in a caramel that actually tastes like a Granny Smith caramel apple. This is NOT for the caramel traditionalists, but if like me you appreciate the tangy and sweet combination of caramel apples – this recipe is for you!! Boil the apple cider in a large pot over high heat until it reduces to a dark, thick syrup, between 1/3 and 1/2 cup in volume. It should take about 35 to 40 minutes, and by the end, bubbles will begin to turn shiny, viscous, and pop more slowly. While the apple cider is reducing, line the bottom and sides of an 8- inch straight- sided square metal baking pan with 2 long sheets of crisscrossed parchment. Set aside. Stir the cinnamon and flaky salt together in a small dish, and have the butter, sugars, and creme fraiche measured out and ready to go. When the apple cider has reduced, remove it from the heat and stir in the butter, sugars, and creme fraiche, just until dissolved. Return the pot to medium-high heat with a candy thermometer attached to the side, and let it boil until the thermometer reads 252 degrees, only about 5 minutes. Keep a close eye on it. If you don't have a thermometer, prepare a bowl of very cold water while the caramel is boiling. Cook the caramel until a spoonful dropped into the water becomes firm, chewy, and able to be plied into a ball. You may want to cook the caramel at a lower heat for a little longer, to give yourself time to test the caramel before taking it off the heat. When the caramel is at the right temperature or consistency, immediately remove it from heat, add the cinnamon-salt mixture, and give the caramel several stirs to distribute it evenly. Pour the caramel into the prepared pan. Let it sit at room temperature or in the fridge until cool and firm. At room temperature, it will take about two hours; in the fridge, one should do it. 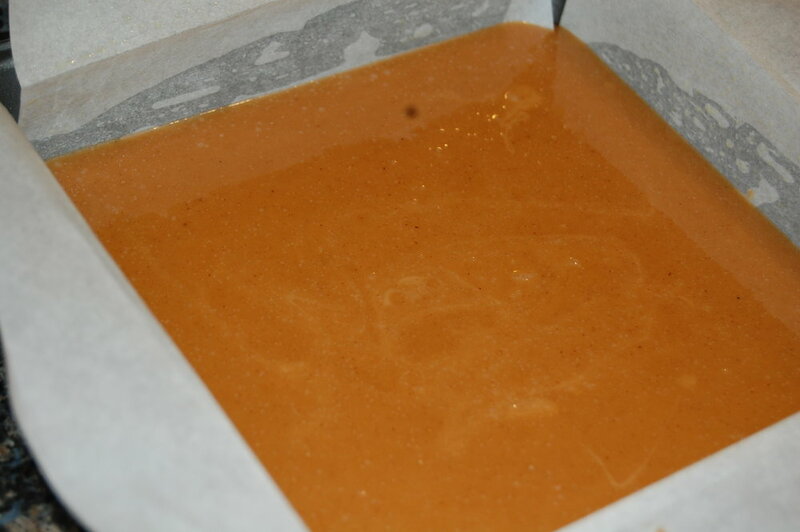 Once caramel is firm, use the parchment paper to transfer the block to a cutting board. Use a well-oiled knife or a pizza wheel, oiling it after each cut, to cut the caramel into 1-by-1-inch squares. It will slice better when cold. Optionally, sprinkle each square with a bit of flaky salt. Wrap each one in a roughly 3x4-inch piece of waxed or parchment paper, twisting the sides to close. If you don't have crème fraîche, just sub in equal parts heavy cream.